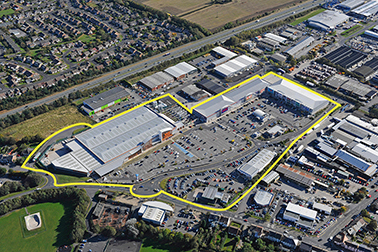 Major retail park comprising 10 units and totalling 200,000 sq. ft. Developed under a Joint Venture between CPG and Dragonville Developments Ltd. The scheme comprises 10 units and two restaurants totaling 200,000 sq. ft.
A Lancaster Group Toyota dealership was relocated in order to facilitate the development. The scheme provided a new link road and roundabout access. Dragonville Retail Park was sold to F & C Asset Management.